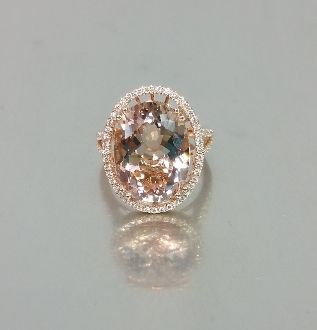 This oval morganite ring is set in solid 14 karat rose gold and has diamonds set around the center stone and on the side of the shank. Weight of the morganite is 9.06ct. Total diamond weight is 0.42ct.